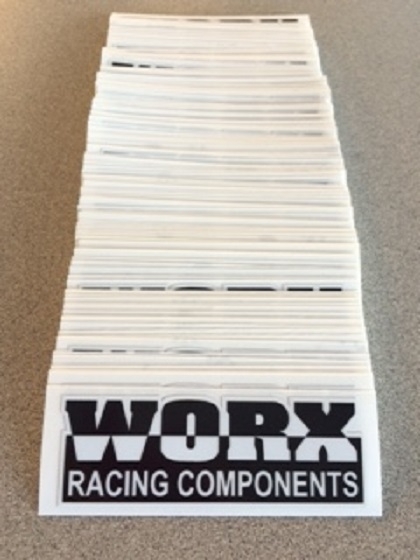 WORX Racing Components in Riverside, California approached our team looking for assistance with a custom decal package to help promote their brand. These decals would need to reflect their image and logo, and we were thrilled for the chance to tackle this challenge! In the image above, you can see the completed graphic design that was used for the decal project for our client. This design represented the imagery that our client was trying to portray. The design needed to relay the messaging of their brand, while utilizing an appealing image that would grab attention. WORX Racing Components is an international distributor for watercraft parts and accessories. They have two locations. One is in Riverside, California in the United States of America. The other is in the Gold Coast of Australia. With such a huge following, they are known for their quality and service. Reach out to them on Facebook and Instagram for more information! The decals that we printed met the needs of the client for many facets of their business. The first was the labeling of their products. Those who purchase their accessories and parts can immediately know whose product they purchased. The second purpose was promotional giveaways to thank customers with each order. Lastly, the decals would give brand reinforcement for the public and other businesses. During the fabrication process, we used 3M IJ35C gloss vinyl with laminate overlay to provide shine and durability. We wanted the backs of our products to have an adhesive or sticker quality, and we used the kiss cut with the Graphtec Plotter to achieve this! When you are shopping around for the right product package to match your business’s needs, you should consider the benefits our experts have to offer. We provide a higher standard of service to ensure that the final results are always on par with your goals. We take into account your time constraints, budget, location, and brand to create one of a kind sign solutions. Our packages are made with the finest components and we utilize the latest in printing methods. 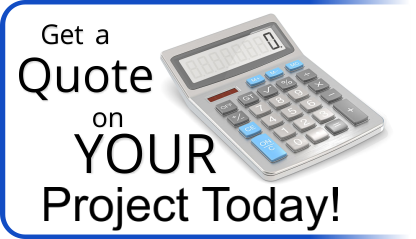 Your final investment with us will not only meet your needs, but it will also provide longevity and results! Are you interested in learning more about the different product packages that we can produce for your company specifically? Could you use the lasting effects of a custom marketing package? Reach out to our team to create a personalized marketing tool package that brings in your desired results! Things to consider when deciding to have your vehicle fleet wrapped.